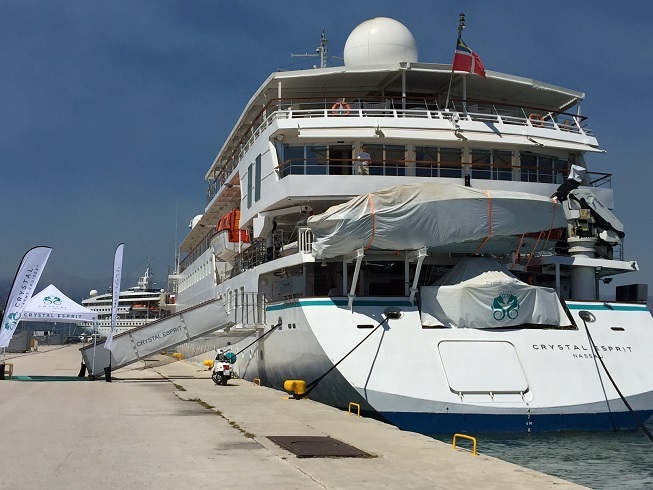 ABOARD THE CRYSTAL ESPRIT — I just completed my full day on my week-long cruise of the Greek islands aboard the Crystal Esprit, which offers a true yachting experience, with just 68 passengers and more than 90 crew. The level of service quickly becomes obvious, with needs either anticipated or immediately fulfilled. Butler service takes care of so much, including complimentary pressing of my travel-wrinkled clothes. My cabin is spacious and well laid out, with a generous seating area, a desk and a spectacularly comfortable bed, with soft down pillows, just the way I like them. There’s a giant TV loaded with movies and the usual at-sea kind of television programming. (There’s also a TV screen in the bathroom, which has double sinks (lots of storage underneath and a shower that can easily accommodate two. 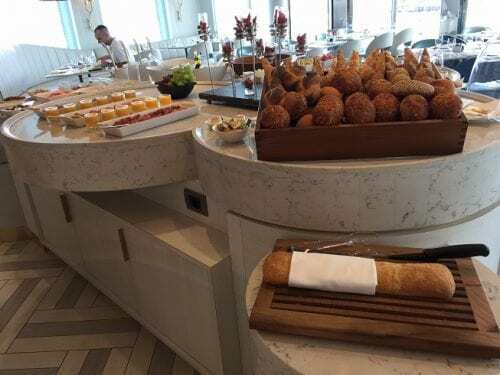 I see at once that the food is going to be truly extraordinary, with breakfast and lunch a combination of buffet (with a crew members serving me) and dinner a feast for gourmands, with complimentary wines, of course. The Grill on Deck 5 serves burgers, salads and other light fare. As the Esprit has super coffee machines, I can have a latte or mocha macchiato at any time of the day or night. At least two complimentary tours are offered each day. 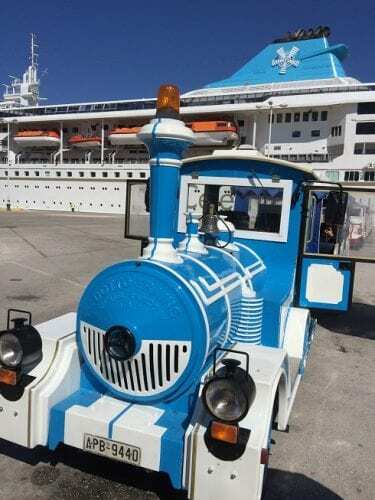 Today’s were a walking tour and a voluntourism experience called “The Smile of a Child,” where passengers assist with day care or meal preparation for abused, ill or abandoned children being cared for in communal homes. 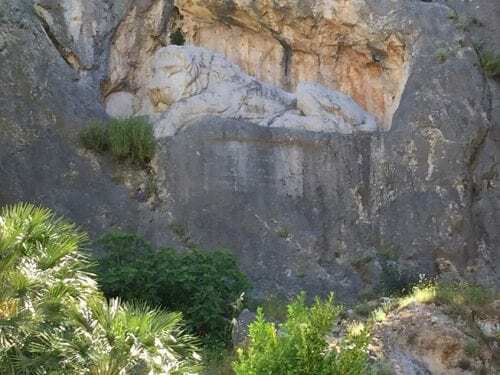 One of my “finds” was the Leondari, the Bavarian Lion, a monument commissioned by Ludwig of Bavaria in memory of the Bavarian soldiers who died during a typhoid epidemic while they served Otto, the first king of Greece.